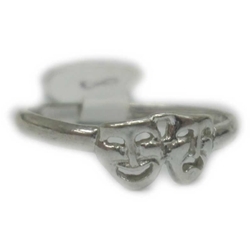 Sterling silver ring featuring the comedy & tragedy masks. It’s another hard to find item but perfect for everyday wear. The masks are about 1/4” high. Available in size 8.